By Gary Gamble December 23, 2015 December 23, 2015 Hollywood / Indie Cinema / Lists / movies / upcoming releases to watch out for . Green Room is the new feature from the director of the fantastic indie hit Blue Ruin. I think I heard of this film right at the beginning of pre-production so it has been an extremely long wait. Not that I was worrying if it was going to be good or not, but to see what force of nature Jeremy Saulnier will release on us next. Green Room has played at various festivals and the verdict is in – we have another solid, powerful entry from Saulnier. Green Room stars Patrick Stewart, Anton Yelchin, Imogen Poots, and Macon Blair (Dwight from Blue Ruin). The film is supposed to gruesome as hell , with impressive body-count and gore. 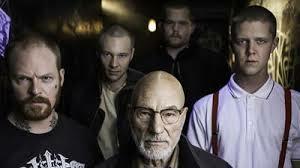 Powerful (as expected) performances from a stellar cast that will see Patrick Stewart in an unusual role, as the head of a neo-nazi gang who are trying to kill a punk band after they witness the nazis committing a horrific act of violence. The trailer for Shane Black’s next film The Nice Guys is using the ,”from the director of Iron Man 3” approach for the marketing of his new film. In fairness – I think the man has done, or at least written far better movies than Iron Man 3 – He wrote Lethal Weapon, The Last Boy Scout, The Last Action Hero, Kiss Kiss Bang Bang, and wait for it ladies and gentlemen…The Monster Squad. When “from the director of Iron Man” appeared on the screen , I though “meh”…but, if after that it said….also the writer of Lethal Weapon, The Last Boy Scout, The Last Action Hero, Kiss Kiss Bang Bang, and The Monster Squad – that would be too much excitement for me to handle, and I don’t think I know of a movie fan who would be able to resist a new movie from a guy who has given us some of our childhood faves. 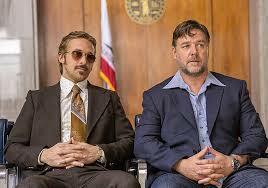 The Nice Guys will see Ryan Gosling and Russell Crowe play private investigator who get involved with an apparent suicide case. When they start to investigate the two guys end up uncovering some sort conspiracy that get them into some serious trouble. Trailer looks like it could be a great crime/comedy, and I think Gosling and Crowe will work very well in this sort of role together. 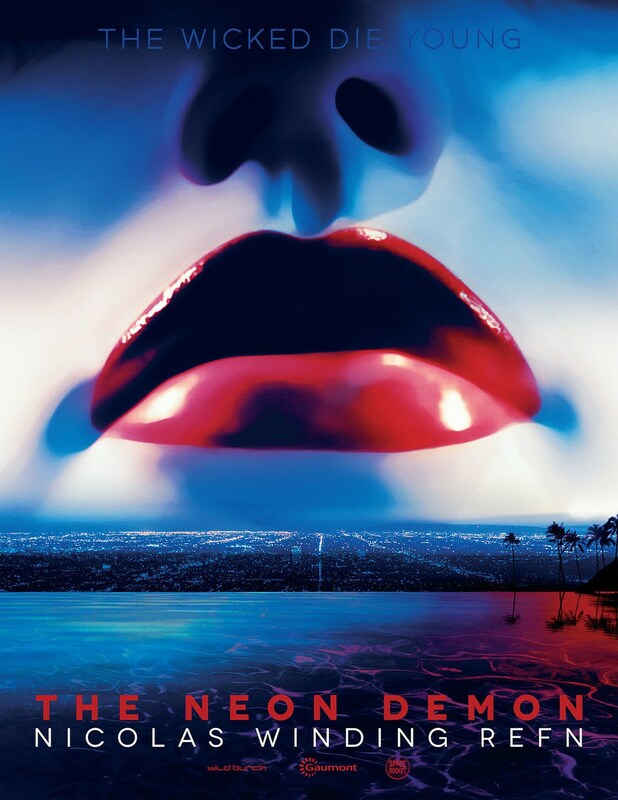 Originally titled, I walk With The Dead , The Neon Demon is the new film from Drive director Nicolas Winding Refn. This film has been in my sights foe a long time, I was under the impression that this was some sort of zombie movie, but judging from the premise I have read, it really doesn’t sound anything like a zombie movie – so either I’m wrong, or we have ourselves a different kind of zombie movie. I have been a fan of Refn’s work since The Pusher trilogy – the man has come along way since then. 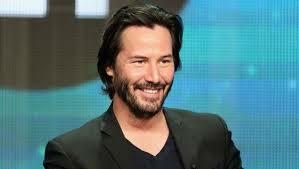 All though I am not a fan of all his movies, I can still appreciate his art, and believe he has a very unique style and look forward hearing more updates on The Neon Demon. What would a moviehooker list be without throwing in a cannibal movie? not a very good one is the answer to that. So now I have The Bad Batch to share with you for my final movie. The Bad Batch is described as a dystopian love story that is set in some sort of Texan wasteland that is overrun by a community of cannibals. The Bad Batch has a great cast including, Keanu Reeves, Jason Momoa, Giovani Ribisi …and the person who I’m most looking forward to seeing eat some human flesh is none other than Mr Jim Carrey, I can NOT wait to see Carrey in this sort of role! Thanks so much for reading, I hope you enjoyed the list and that you have been hooked up with some great upcoming movies!!! !